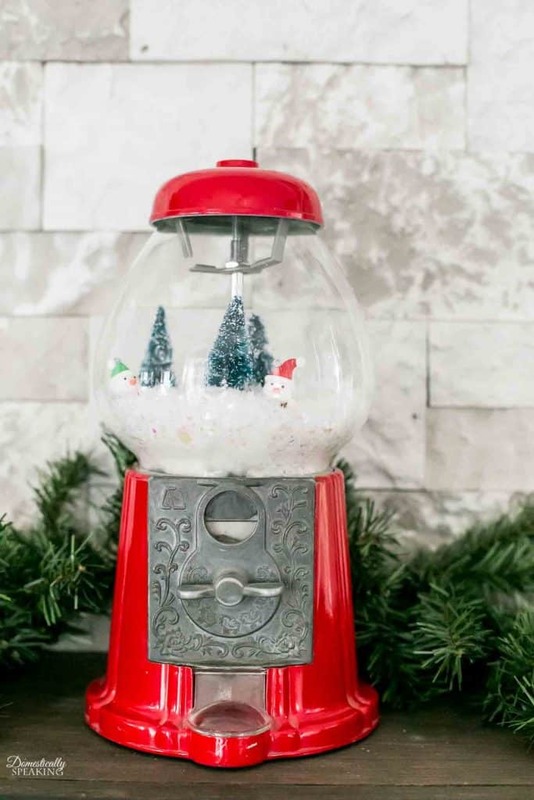 It’s thrift store time again and this month of I’ve got a Winter Wonderland Gumball Machine to share with you! I just love these mini-scenes of winter! Living in Southern California I only see snow if we happen to get rain and I travel up to our local mountains, so I love creating little magical, snowy vinettes of winter. 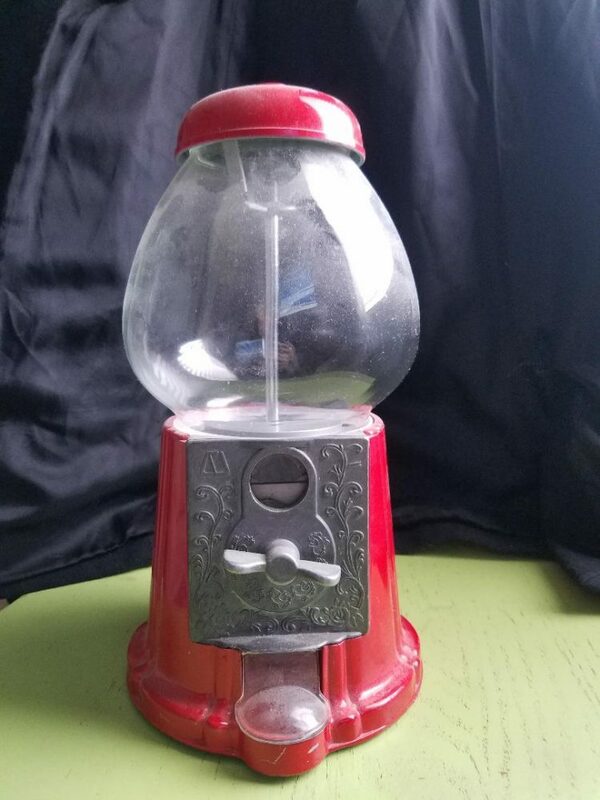 If you find a gumball machine at a thrift store I highly suggest scooping it up. I first cleaned the gumball machine well with some window cleaner. Then I used a screwdriver to remove the top. I stuffed cotton balls into the base to even out the bottom, so it would be easier to place the snow on top. Then I sprinkled on some sparkly snow to create the magical winter wonderland. I finished it off with a few trees and a couple snowmen. I found that using a needlenose pliers made placing the trees and snowmen a little easier. 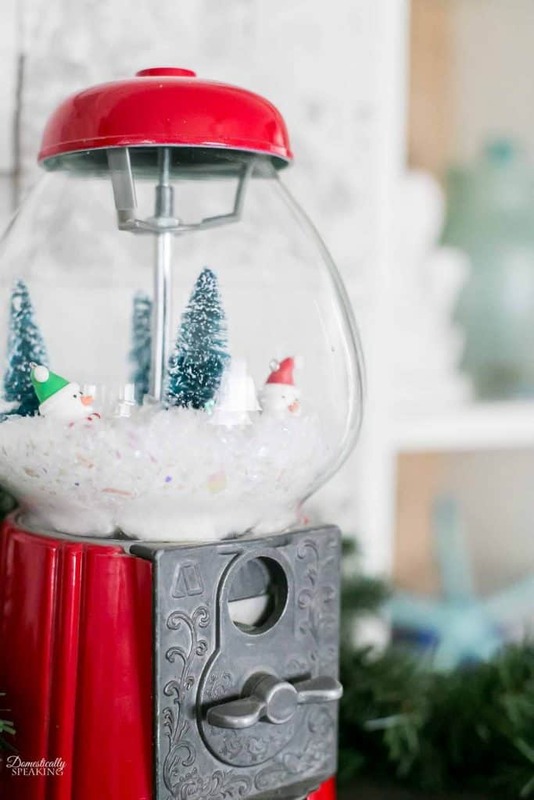 With just a few minutes of work, you can create this cute winter scene too. Now check out what the other ladies have been up to this month. I love it. I have one almost identical to it! I’ve been in a “toss everything” mood lately, I hope I’m keeping all my future treasures… you just never know. 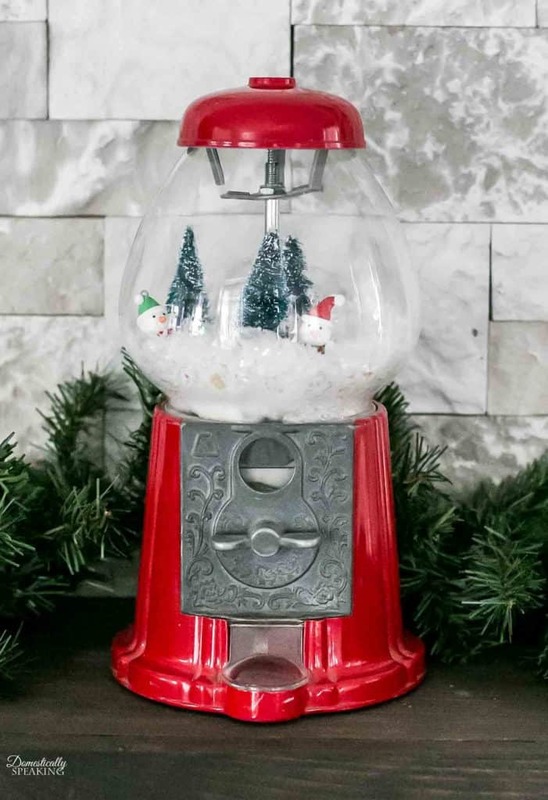 When I got married, I couldn’t wait to get rid of his stupid gumball machine! I’m the stupid one! This is so cute….I now need to find one! Haha… funny how life circulates. Oh my, I love this! 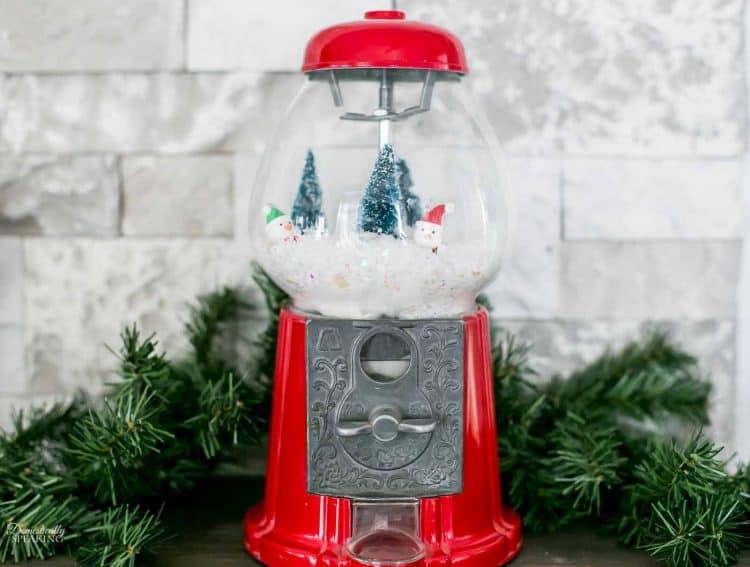 I have a gumball machine just hanging around. Oh cool!!! It’s such an easy project! How lively! 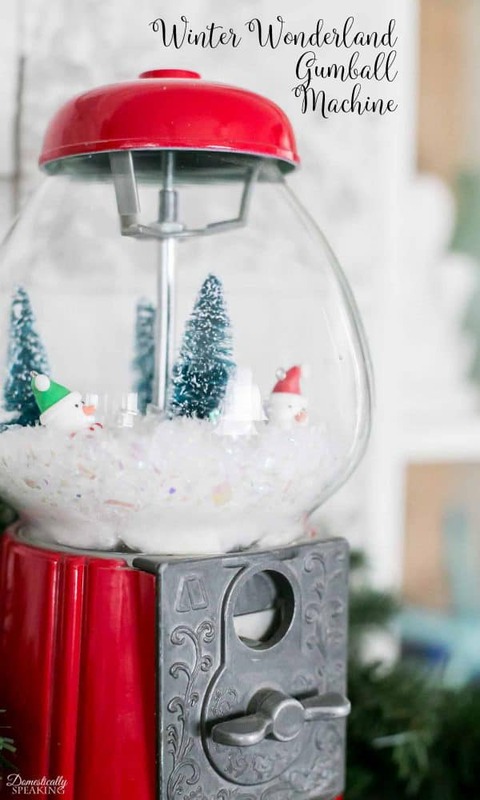 I did something like this but put miniature round multi colored Christmas ornaments inside. Oh that would be adorable!!! Great idea!!! That is so darn stinking cute! 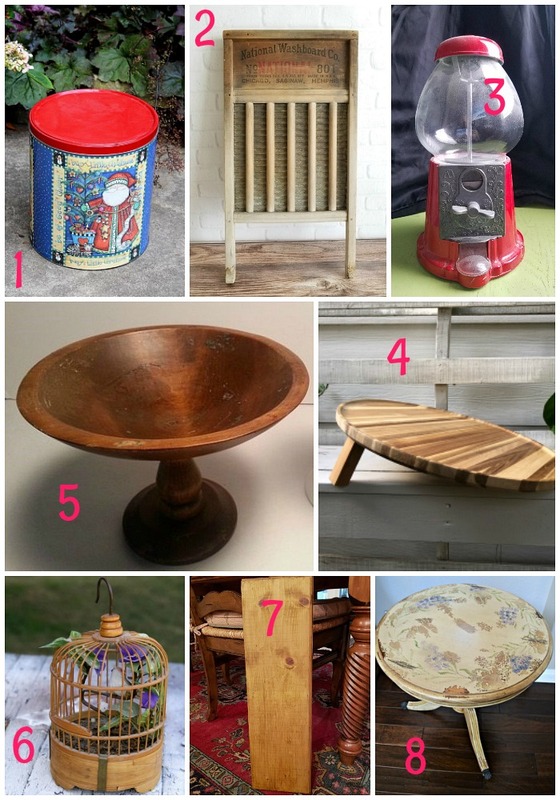 I’m going out thrifting later today, so I’ll be on the lookout for a gumball machine!